The daily comparisons of m43 to FF are quite frankly delusional considering m43 isn't even as good IQ-wise, DOF control, or resolution as APS-C. m43 cameras can have a tough time matching the superb IQ of a camera like the Fuji X-Pro1, which makes the constant comparisons to FF seem even more misguided. And to argue that APS-C will actually die off makes zero sense as APS-C bodies and lenses are just as small as m43 lenses, yet have better IQ and shallower DOF. If any camera format is going to die off, it will be the lesser one. But I actually think there is room for all three formats so such doom and gloom predictions are rather silly. 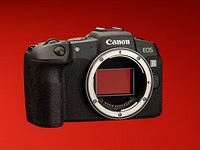 The other issue is that moving forward as resolution gets higher and higher, the m43 sensor begins to show it's weakness as there simply isn't as much real estate to add new pixels. With 16 mp, m43 seems to have reached the ceiling. Where m43 already feature densely packed pixels, adding more pixels in an attempt to reach NEX-7 type resolution (24 mp) or higher is going to mean that lenses will become diffraction limited even earlier (as it is we already see some lenses like the Olympus 12-50 decrease in quality straight from max aperture down to minimum. Larger sensors have more room to increase resolution without compromising quality (see Nikon D800). My om-d is noisy at base iso. I have smoother compacts. As far as D800 comparison, if you have used a D800, it is doubtful that you'd make such a David vs Goliath comparison. Ignoring DOF, a D800 at ISO 800 or even higher looks as clean as an OM-D at base ISO . And to IrishAndy's point about P&S, my Ricoh GRD III at ISO 64 is much cleaner than the OM-D at base ISO where it doesn't have the slightest bit of noise. A camera like the D7000 or Fuji X-Pro1 shows very little if any noise at base ISO. The same cannot be said for the EM-5. Professionals use FF and Medium Format cameras as they have the best IQ, a vast selection of optics, and big, bright optical viewfinders. They are clearly the best tools for the job, but with prices coming down, even enthusiasts are choosing FF cameras for the ultimate in IQ and ergonomics. As far as m43 fans, until you recognize that any system has compromises and until you give the constant rationalizing and equivocating a rest, you'll never be truly happy with your gear. 5 Panny and Oly can you please listen to our market?